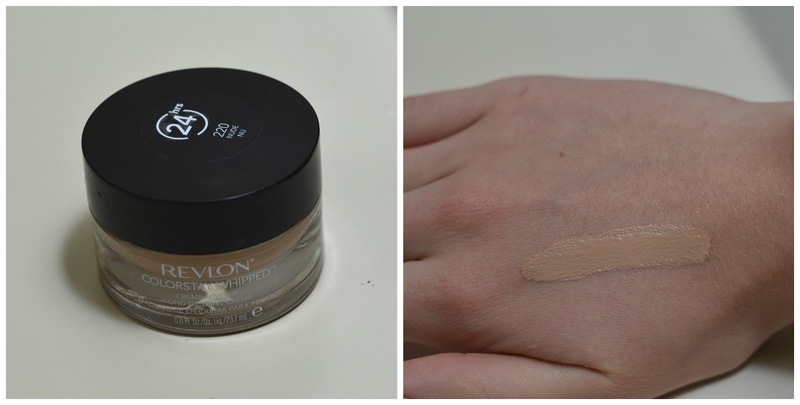 I am happy to say that I have found my favourite foundation to date. Welcome, Revlon Colorstay Whipped Crème Makeup. I first tried this foundation about a year ago and have not once been disappointed with its performance. The product description reads "mousse-like texture feels like silk on your skin. And, the time release formula balances skin for a flawless look. All day flexible wear without flaking, caking or feeling heavy".. I couldn't have said it better myself, Revlon! This is the first time for me that a product has completely lived up to its claim. For a flawless finish, no primer or setting powder is necessary when applying this foundation... this is music to my ears. I like to blend this product out with a damp beauty blender sponge, but a dense synthetic brush works fine also. Fingers do not provide a very even finish with this foundation. The best. Although I would choose my Skin79 BB cream over this for overall appearance, this wins for a North American foundation product. It doesn't slide off when my skin gets a bit more oily, nor does it cling to dry patches or change throughout the day. I love this stuff. I do understand the whole "luxe" feel of a heavy glass container, but it is just so inconvenient. Constantly dipping into a pot of product is calling for bacterial growth, which is especially great for gemophobes like myself. I would love to see either less glass being wasted in this clunky packaging, or simply a squeeze tube to make everyones life easier. There isn't a ton of product in the container- 0.8 fl. Oz. when a typical foundation is at least a full ounce. For around $20 CAD, sometimes more sometimes less, this is a high price tag for a drugstore foundation. Although you could reuse the container, I really hate seeing so much packaging go to waste for a small amount of foundation. This product will receive an overall B rating. What is your favourite foundation? Leave a comment below!